Global icon Beyoncé will perform at the City of Hope gala on October 11 in Los Angeles. This will mark her first solo performance following the successful run of the biggest tour of the summer, with JAY-Z. 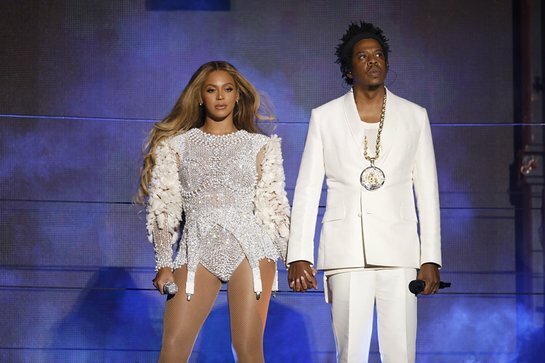 OTRII stadium tour started in Cardiff, UK in June and is scheduled to wrap on October 4 in Seattle, Washington. City of Hope, a world-renowned independent research and treatment center for cancer, diabetes and other life-threatening diseases, is honoring Jon Platt, Chairman and CEO of Warner/Chappell Music, with its prestigious Spirit of Life award. Platt has worked with Beyoncé since 2005. Inspired by the guiding humanitarian principles of City of Hope and motivated by the institution’s commitment to innovative medical research and compassionate patient care, a group of key industry executives founded the charity’s Music, Film and Entertainment Industry Group in 1973. In its 45-year history, the group has raised more than $118 million for City of Hope and has honored some of the most important figures in the music and entertainment industry. Each year City of Hope recognizes a philanthropic leader whose work has fundamentally impacted music, film or overall entertainment. The coveted Spirit of Life award is its highest honor. Jon Platt joins an impressive list of past honorees including Mo Ostin, Clive Davis, Quincy Jones, Frances W. Preston, Shelli and Irving Azoff, Edgar Bronfman Jr., Doug Morris, and Sir Lucian Grainge.